The SMPA 500.2 ED nailing automated machine has a modern robust construction with the usage of an electric-mechanical system for nailing pallets of various types and dimensions. The machine is equipped with 26 pcs of nailing units in a standard (option is up to 40 units). It works with loose nails and the principle of the drive and has the lowest energy input power (1,2 kWh) in its class. It is a suitable solution for operating units where it is necessary to perform the high-quality and fast nailing of pallets with a high work productivity and high precision of the nail pattern. The machine allows making pallets with adjustable universal template of standard format (similar arrangement to EUR palette with dimensions in widths from 700 mm to 1200 mm and lengths from 600 mm to 1500 mm. Possibilities of producing pallets of a maximum length of 2500 mm (extension of the table) or pallets with maximum dimensions of 1 500 x 1 500 mm (without training legs) are optional. Another option is to use fixed templates to produce a particular type of pallet allowing quick change of the machine settings for different types of pallets. The base machine is equipped with three boxes with a 10-outlets allowing nailing of paletts using three species of loose nails (in option the 4th box can be included). Options is also a box with 12 outlets which use can be found where more nails of one type are needed (e.g.upper boards). 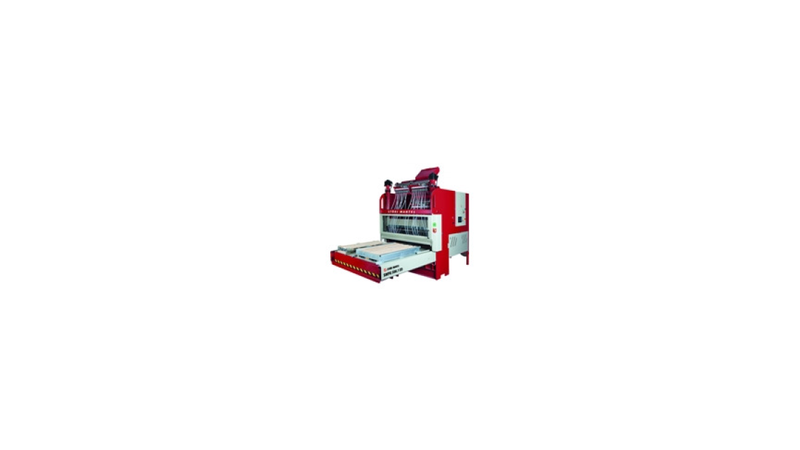 There is an automatic sorting and feeding of nails into the nailing units. The machine is able to work with nail sizes from 30 mm to 90 mm lenght. Accuracy of nail pattern is within the tolerance of + / - 1 mm and min. spacing of nails is 25 mm. Machine is operated by two persons.